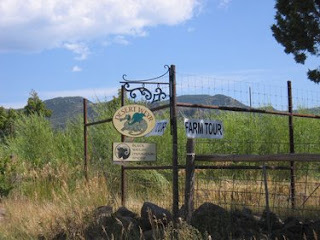 West Elks Wine Trail Tour is this weekend so we put out the farm tour signs. Unfortunately my black thumb is starting to show. The main batch of corn isn’t doing well. Brown and drying leaves and pale green. 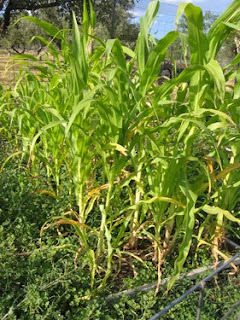 The corn I transplanted into the main part of the corral is doing ok but several are blowing over. It’s as if the roots are not deep enough to hold the plants in our winds.